Currently a Certified Nurse Midwife at Nebraska Medicine, Kate’s love of horses started at a young age. 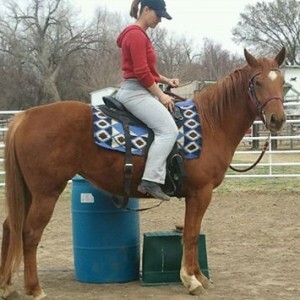 She began riding hunt seat in California, advancing her talent to training horses and jumping. Kate has been volunteering with Victory Riding Academy since 2013.